From 2014 we will be providing a number of opportunities for young cyclists, both male and female, to take part in one of our training camps completely free of charge. Cycle Sierra Nevada will be offering a number of places each year on their Scholarship Program to young athletes in an attempt to assist them in their aspiring careers. My name is Mikkel Frølich Honoré, I’m 17 years old and I live in Denmark. I’ve been a cyclist for more than 8 years and for the upcoming season I will be riding for Team Kel-Berg Roskilde Junior for my second year. In the weekdays I’m usually riding by myself and in the weekends I meet up with a couple of guys from my area. WHY DID YOU START CYCLING? I started cycling 10 years ago in 2004 after riding a local crit on my school bike with my grandfather who’s a former pro cyclist and also my source of inspiration. For the first few years in U11 and U13, it was a hobby alongside my handball and football, but when the races and training became more serious I had to give priority. Cycling is one of the oldest transportation methods and it gives me an amazing feeling of freedom whether it’s the cycling sport or just a quick ride to the supermarket. The high level of competition across Europe and structured hard training are also factors that motives me a lot. FAVOURITE PIECE OF CYCLING KIT/BIKE ETC.? That would be a power meter. It’s the perfect tool to make my training more effective in collaboration with my trainer. KEY GOALS FOR NEXT SEASON? One of my first goals for the upcoming season is to get a top 5 at the junior’s edition of Paris Roubaix. 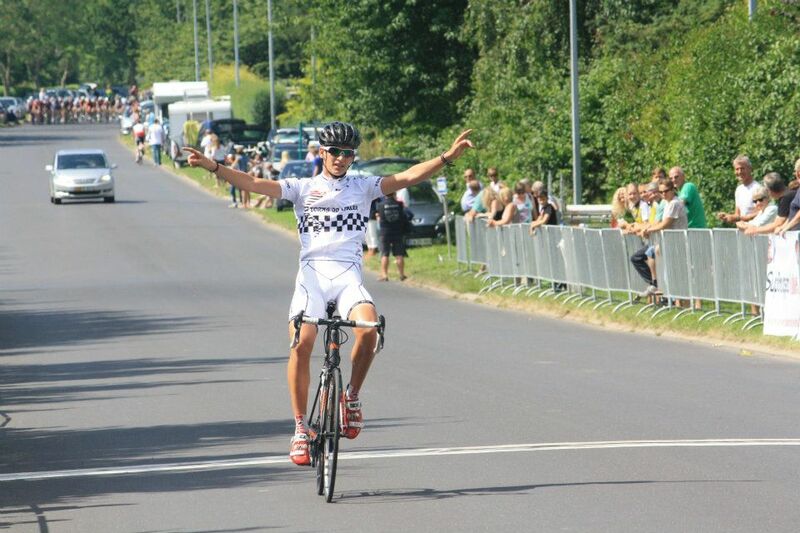 In addition to that my goal is to get various victories at home and abroad including at least one UCI victory. Hopefully a professional career at the highest level.